BBC Northern Ireland has officially announced BBC Radio Foyle’s availability on satellite and cable television. The station is now permanently available on this platform to listeners across Northern Ireland with access to these services. 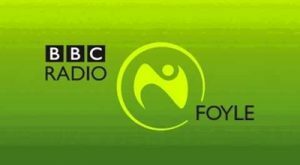 BBC Radio Foyle can now be listened to via Sky channel 0152 (Northern Ireland), Freesat channel 717 (UK wide) and Virgin Media channel 933 (UK wide) and can be found via listeners electronic programme guides (EPGs). This is the latest move to enhance listeners’ experience of the station and to make it more widely and easily available. In June of this year, the BBC Radio Foyle also announced its availability on DAB (Digital Audio Broadcasting) radio, making it permanently available on this platform to local digital radio listeners in Northern Ireland. Also this year, BBC Northern Ireland unveiled modernisations to its BBC Radio Foyle premises on Northland Road, Derry, including updated radio facilities and a new, purpose built-television studio to better reflect life here to audiences in Northern Ireland and beyond. BBC Radio Foyle commenced broadcasting in 1979 as an opt out service from BBC Radio Ulster. The station moved to its current location on the Northland Road 30 years ago in 1985. The station currently broadcasts the Breakfast programme with Enda McClafferty and Elaine McGee, Lunchtime With Mark Patterson, News At One, Stephen McCauley, Electric Mainline, Rejoice and live news and sport. BBC Radio Ulster/Foyle programmes broadcast from BBC Radio Foyle are; Sean Coyle; Your Place And Mine; The Arts Show on Friday; Cashclár; The Mickey Bradley Record Show; Soundscapes With Stephen McCauley, Songbook With Eamon Friel and Blas on Monday nights.